Bhutan has been the best kept secret of the Himalayas since ages till it opened doors to the world in the recent past. The un-spoilt beauty of Bhutan, unadulterated environment with zero pollution level, the vibrant culture and an extremely progressive nation that is deeply rooted in spirituality has enthralled the travelers to say the least. The more you unravel the each and every aspect of Bhutan, you find a completely different layer to it. One such part of Bhutan comprise of the several monasteries that form the very identity of Bhutan. Spirituality is the way of life in Bhutan. And hence, when you enter the monasteries of Bhutan, you have an awe inspiring experience. Visiting the monasteries should be an inevitable part of your itinerary whole you book Bhutan travel packages. Talk to your tour and travel service provider to make sure that you can experience the monasteries in Bhutan at the best. 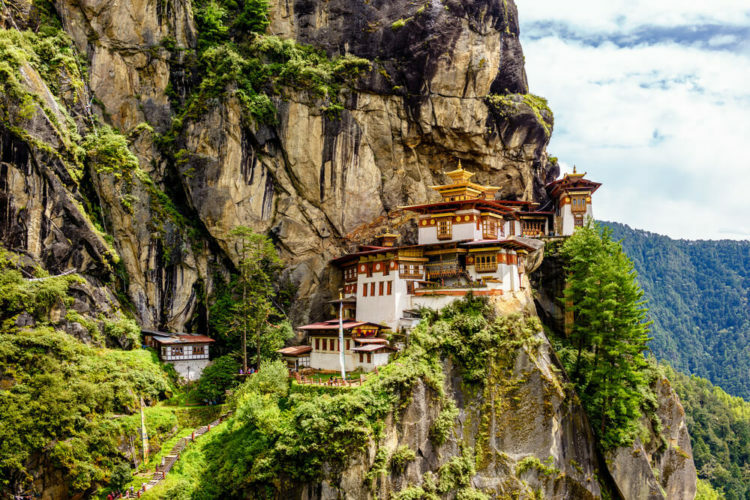 So let’s take look at some of the best monasteries of Bhutan that you just can’t afford to miss. Taktsang Monastery, Paro – A beautiful architectural structure with all its signature elements that typically characterizes a Bhutanese architecture etched on the mountains – gives you goosebump when you look at it for the first time. But as you trek your way up to the monastery at a height of 3120 meters, the breathtaking view of the valley soothes your eyes while the tranquility of the monastery heals your inner soul. Punakha Dzong Monastery, Punakha – Set at the backdrop of beautiful green mountains and a gurgling river flowing by its sides. The monastery is said to be the winter home for Dratchang, who happens to be the head monk. The monastery has a very esteemed past for being a part of the Drukpa period, Terton Pema Lingpa and Ngawang Namgyal. The pristine white stupa, the chapel for the Nagas queen, the ever enchanting Bodhi tree and the hundred pillars cast a spell on your senses. The beautiful monastery that is also the administrative headquarter of Paro. The monastery is marked with some of wonderful wall paintings, towering walls and a total of 14 shrines and chapels. Again a place where silence and tranquility reverberates the pulse of the nature around, this monastery will surely give you the some of the most cherished moments of the entire life . Yet another beautiful monastery that you cannot afford to miss is Gangteng Monastery. It is marked with vibrant and colorful temples and the 11 faced AvalokitesvaraLhakhang and some of the exclusive collection of weapons. The beauty of the place is absolutely mesmerizing to say the least. Bhutan is a country where Buddhism is not just a religion but it is the way of life for the people who stay there. It is that one practice that has given the sets the country apart from the rest of the world. Until you experience the monasteries in Bhutan, you trip will be incomplete. Hence make sure that absolutely none of these beautiful monasteries are left out of your travel itinerary. The beautiful, refreshing and replenishing atmosphere of the country touches the innermost core of your soul. It is amazing to see how one of the most progressive nations of the world is so much embedded in spiritual practices right from the very tender age. This is what you get to see in these monasteries. The more you visit these places, the more awe struck you come out. The pristine, pure and the un-spoilt beauty of Bhutan fill your heart to the core!